Baby is a stylish, spry girl looking for a family of her own! 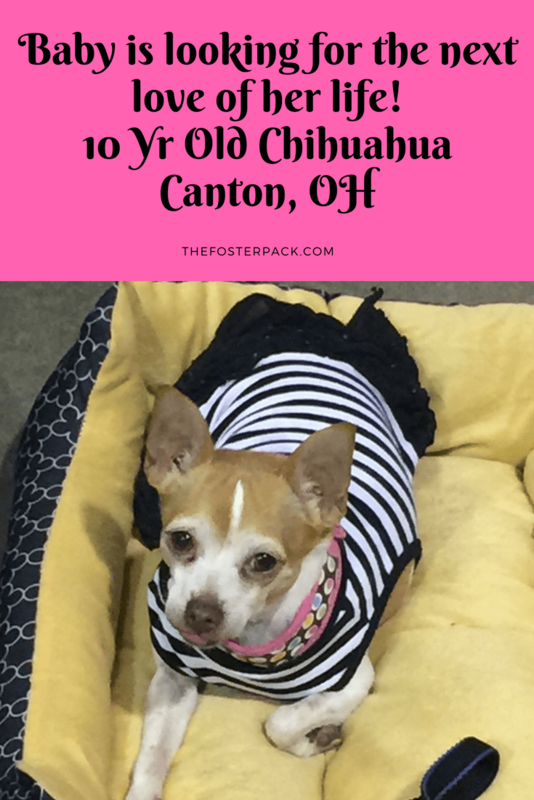 This sweet little girl, Baby, is a 10 year young Chihuahua who ended up at Sophia’s Grace Foundation after her owner passed away. She’s now looking for the next love of her life. Baby is an extremely loving, friendly and affectionate girl. She’s got a personality you can’t resist! Baby will greet you with a wiggly tail and lots of kisses. She’s quite spry for her age and loves to play fetch, take walks and meet new people. Baby doesn’t let a luxating patellar in her back legs slow her down. Although she may limp a little and sometimes holds her back leg up. The vet has said it doesn’t require surgery, just some Rimadyl and a joint supplement to keep her comfortable. She’s great with other dogs and older children. Baby is also already spayed, up to date on her vaccinations and ready to move in with her new family anytime.